Mira's quirky attraction to Chief Wenonga, a well-muscled fiberglass statue, might be a safer love pursuit than online dating. But when the 23-foot Chief goes missing and a human scalp is discovered at his cement base, Mira's not the only Battle Lake citizen to be crushed. 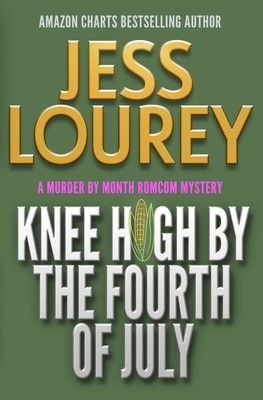 Knee High by the Fourth of July is perfect for readers who love to escape into the humorous mysteries of Janet Evanovich, Denise Grover Swank, and Stephanie Bond, TV viewers who enjoy 30 Rock and Parks and Recreation, and moviegoers who laughed out loud watching Bridesmaids or Melissa McCarthy's Spy.